Berkswell is a lovely place in Warwickshire, Britain. Jeremy Brett was born here in 1933 on a Friday, the 3rd of November as Peter Jeremy William Huggins. Berkswell has many houses from the 16th and 17th century. Little Jeremy was surrended by wonderful landscape and animals. His mother was Elizabeth Edith Cadbury Butler Huggins (1899-1959) – they adored each other. Elizabeth was renowned for her kindness and generosity in Berkswell. As Jeremy told once: „she had open doors and windows in her soul”. She supported Red Cross and provided clothing, food and a place to clean up for Gypsies and tramps. This was shown by vagabonds with their special signals for each other – there is a scene in The Norwood builder, where Holmes „reads” similar signals on the ground. Jeremy’s father was Henry William Huggins (1890-1965), a soldier in the Warwickshire Royal Horse Artillery, who fought in World War I. Elizabeth and Henry married in 1923. The family moved into the manor Berkswell Grange in 1929. They had four sons: John became a clergyman, Michael a painter, Patrick a farmer, and Jeremy, the world famous actor was the youngest sibling. As a teenager, Jeremy participated in a diving championship. His ear has been infected, which resulted in rheumatic fever, and the latter caused an enlarged heart. He had problems pronouncing the R and S sounds – this speech impediment is called rhotacism, and at the age of 17 he went under a minor operation to correct it. Later, when he was famous, he told in an interview that he practiced pronounciation daily. It was worth it, because his voice was very energetic, his speech was articulated, and these characteristics gave his Sherlock Holmes elemental power. Brett studied in Eton College – Daniel Massey, who was the brother of Anna, Jeremy’s future wife, attended the college with him. (Many years later Daniel appeared in the Granada series, in The Problem of Thor Bridge - he played Neil Gibson). Thanks to his outstanding talent in singing Jeremy became a member of the student choir. He had difficulties with learning, because he had dyslexia. As a child, he was the member of the Woodmen of Arden, a society of archery founded in 1758. His father and brothers were members too. They also loved horses and riding. Jeremy wanted to be a jockey or an actor. (In the Granada series he could not hide his affection to horses, and he certainly enjoyed filming Silver Blaze). Finally he chose acting and began to study drama. His father, Henry, who was a colonel, wanted his youngest son to be a soldier. He thought acting was not suitable for a middle-class young man, and forbade Jeremy to use his original family name. So Jeremy chose his stage name Brett from the label of his first suit (Brett and Co., Warwick). Later, when he became famous, his father wanted him to take back the name Huggins, but he sticked to Brett. He completed his acting studies in the Central School of Speech and Drama. His theatre debut was in 1954 at the Library Theatre in Manchester. He appeared in Othello as Cassio, while the play’s Desdemona was Rosalie Williams, who portrayed the kind landlady, Mrs. Hudson in the Granada series. Jeremy played many Shakespeare characters. His London debut was in 1956, he played Patroclus in Troilus and Cressida. In the cast of the play was his future on-screen sibling, Charles Gray (Mycroft Holmes) – he played the role of Achilles. Brett’s memorable movie role is Freddy in My Fair Lady, though his singing was dubbed. He appeared in War and Peace and in The Three Musketeers among many other projects. But he considered himself to be a stage actor. Critics praised him for Hamlet – he played the part in 1961. His mother died shortly before that, in 1959, in a car accident. Jeremy „acted out” his anger and loss, but his opinion was that he was too young for the role. Hamlet run for four weeks with enormous success. On the 24th of May 1958 he married actress Anna Massey. Her father, character actor Raymond Massey began his film career playing Sherlock Holmes in a version of The Speckled Band. The marriage was not welcomed by Anna’s family, and she depended largely on their judgment. The pair tried hard to save the marriage, but finally they divorced in 1962. They already lived separated when Jeremy had an affair with a man – this was not strange in the world of artists. Anna and Jeremy had one son, David Raymond William Huggins (born on the 14th of August 1959), he became a famous caricaturist, illustrator and novelist. 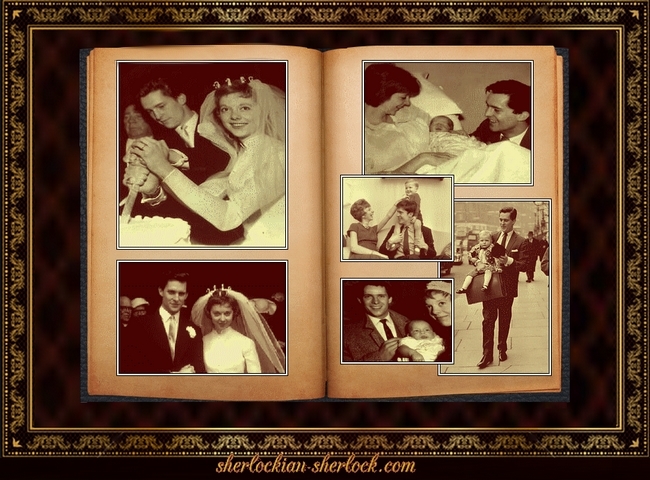 Jeremy always lovingly cared for his son, and father, mother and son appeared together in the BBC production Rebecca. Anna described Jeremy as a warm-hearted man, caring father and good husband. After their divorce she blamed herself for the split. Jeremy loved classical music. He appreciated the talent of Kevin Costner and Robert De Niro. He liked meditation and was a good cook. Being an artist, he could afford to have extreme outfits in everyday life too. He had a great sense of humor, he liked to play tricks. Jeremy could never deal with the death of those who were close to his heart. He lost his adored mother in a car accident. He severely missed his dog, Mr. Binks, a Jack Russell mutt. The deepest tragedy in his life was the loss of his second wife, Joan Wilson. She was an American television producer, who saw Brett in a play (Design For Living) in 1973. They married in 1977. Jeremy told later that it was a wonderful relationship and they were made for each other. Joan had two children, Caleb and Rebekah – Jeremy loved them as his own and he kept in with them till his own death. Joan had cancer and died on the 4th of July 1985 – not soon after Granada shot the death of Sherlock Holmes for the episode called The Final Problem. Jeremy did not want to marry again – he was not able, because the loss of Joan affected him so deeply. He met Linda Pritchard during a cancer charity campaign. Jeremy supported Linda with money and helped raising media awareness for the campaign. Later their friendship turned into love. They had happy periods, but at that time Jeremy suffered from serious depression. Linda stood for him till his last days. In the stories of Doyle Sherlock’s health gradually deteriorates – the situation was the same in Brett’s own life. He needed medical care more and more often. His face and body bloated, it was the side effect of the antidepressants prescribed to him. His medicine doses were too high. In addition to that, he was a heavy smoker. Edward Hardwicke, who was his Watson after David Burke left the show, told that on the way for shooting Jeremy bought three packs of cigarettes and he smoked all till the end of the day. As his condition worsened, he quit smoking for a brief period. Shortly before his death he openly and honestly talked about being manic depressive in a radio interview; he encouraged everyone to ask for help. In France Thierry Saint-Joanis, the director of the French Sherlock Holmes Foundation fought out the Legion d’ honneur for Jeremy’s portrayal of Holmes. The actor was deeply touched. He was ready to accept the award, but he died before the ceremony. On the day of his death Jeremy was disappointed. He told his doctor that he regards his friends all the people who admired him as an actor, and he wanted to thank their support – he thought he did not give enough back from the love he received. The doctor looked at him and told him that every Holmes episode is available on videotape, so they are recorded for posterity, what is a wonderful thing. Hearing this Jeremy answered that so he can rest in peace. On a Tuesday dawn, on the 12th of September 1995 Jeremy Brett died in his London home. He was lying on the couch of his living room. He lived 61 years. The cause of his death was myocardial heart attack. (Sir Arthur Conan Doyle suffered a heart attack too). Brett’s acting career spanned forty years. After his death The New York Times published an obituary, appreciating the most brilliant impersonator of Sherlock Holmes. With his death the Granada series ended too. 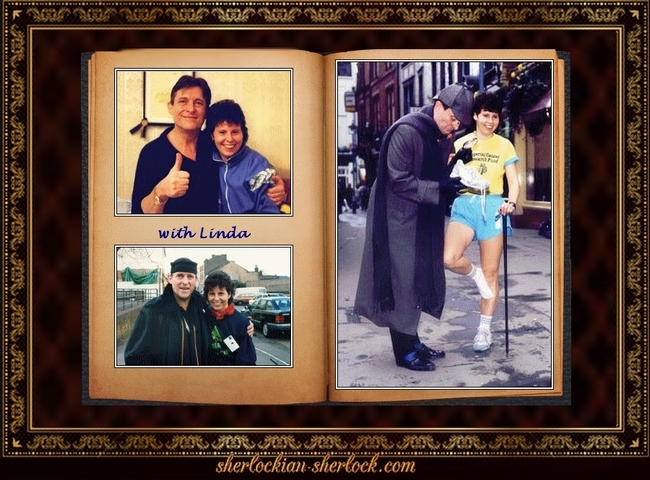 There is no doubt: Jeremy Brett was not like Sherlock Holmes, he himself was Sherlock Holmes. So the great detective died for the second time (after Reichenbach) with his passing away. But Sherlock is immortal in the heart of the people, and with him Peter Jeremy William Huggins, who became famous as Jeremy Brett, is immortal too. Though it is not completed, the Granada series is the most fantastic adaptation of the adventures of Holmes. His loved ones, colleagues and acquaintances bid farewell to Jeremy in the famous St. Martin in the Fields church (it is on Trafalgar Square). His best friend, Edward Hardwicke delivered an especially moving speech. 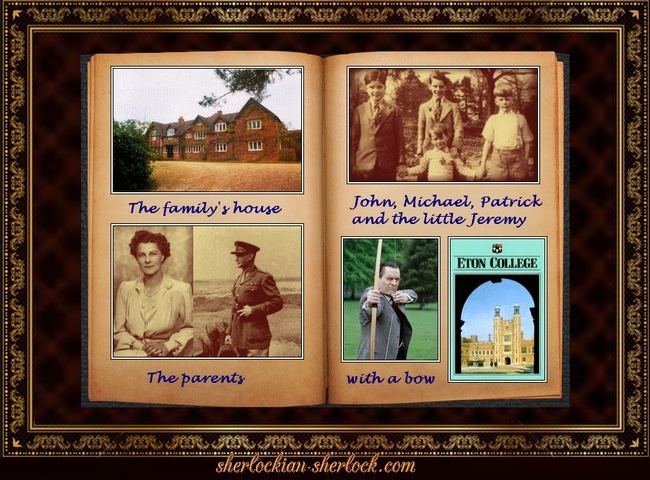 Many books had been published about the life and career of Jeremy Brett when he was still alive and after his death too. English and American fans say his most authentic biographer is David Stuart Davies.
" 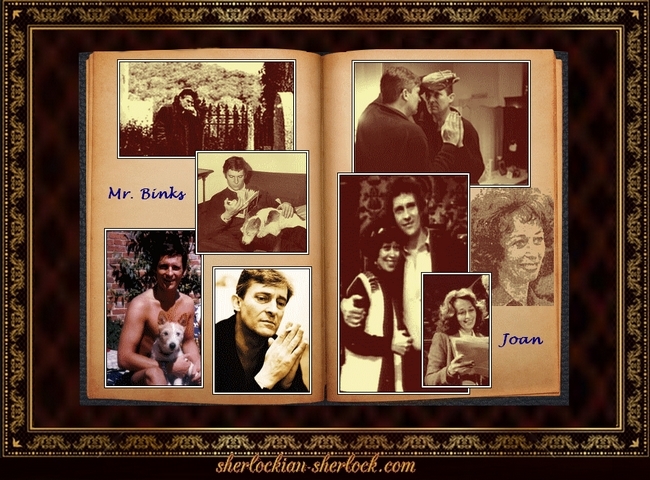 Jeremy Brett biography "